I had the wonderful opportunity this past Wednesday night to see Detroit Tigers radio broadcasting legend Ernie Harwell interviewed by Mitch Albom at the Fox Theatre in Detroit. To raise money for several local Detroit organizations that help the homeless, author, sports journalist, and radio personality Mitch Albom hosted an event to launch his new book. 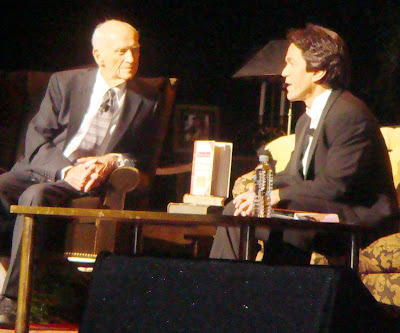 "An Intimate Evening with Mitch Albom and Friends" featured Anita Baker, author Dave Barry, and Ernie Harwell. Albom discussed his new book "Have a Little Faith," and dialogued with Rev. 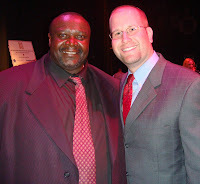 Henry Covington (pictured at left), the former drug addict and ex-con who is now the Pentecostal pastor at Pilgrim Church and the founder of the I Am My Brother's Keeper Ministry to Detroit's homeless, who is one of the subjects of Albom's book. He also interviewed local Detroit rabbi Harold Loss, the spiritual leader of the mega-church-sized Temple Israel in West Bloomfield who filled in for the late Rabbi Albert Lewis, Mitch Albom's rabbi from Cherry Hill, NJ who is featured in "Have a Little Faith" as well. For me, the highlight of the evening was not meeting with the likes of Dave Barry and Anita Baker backstage during the pre-glow event, but rather sitting back in the audience and watching Ernie Harwell shmooze up Mitch Albom on stage. Ernie Harwell is a part of my life; much of my childhood was spent listening to Ernie Harwell's voice as he called the Tigers games on the radio as I laid in bed on school nights. In July, the 91-year-old Ernie Harwell was diagnosed with brain cancer. He knows he doesn't have long to live. The Detroit Tigers honored him a couple weeks ago during a home game at Comerica Park, but he hasn't made many public appearances lately. He wasn't sure he could even make it to the Fox Theatre for Mitch Albom's event, but he did. And he was amazing! Albom, sitting on a living room sofa asked Harwell to speak about his faith and how he has come to accept the life-ending disease he now faces. He talked about finding faith as a young man and how it has helped him persevere through many challenges in his life, including his current sickness. Mitch Albom described Ernie Harwell's voice as being "what baseball would sound like if baseball could talk." Albom also praised Harwell for having the patience to let the game of baseball move at its slow pace, and to allow the sounds of the game to be heard and appreciated by the radio audience. Harwell paraphrased Shakespeare by explaining "The game's the thing." "It can't be rushed," he said. I enjoyed listening to Harwell talk about the days when baseball clubs couldn't afford to send their radio guys on the road with the team. The play-by-play would come over a telegraph and Harwell, sitting in a broadcast studio, would call the game from the telegraph making sound effects to add some excitement. Some of the broadcast, Harwell admitted, he would make up since all he actually knew about the game were the stats coming over the telegraph machine. While waiting for the stats to come through, Harwell would make up a story, saying a dog just ran across the field or a fan fell out of the stands. Harwell also spoke nostalgically about the Tigers winning the World Series in 1968 and calling a play in which Jackie Robinson stole home plate (see the video below). Through the several standing ovations on Wednesday night at the Fox Theatre, all I could think about was what a true mentsch Ernie Harwell is and how much he's a part of the fabric of Detroit and of major league baseball. Long after Ernie's left this world, I know I will still hear his voice in my head calling baseball games. He will forever be the "Voice of Tigers Baseball." And speaking about calling baseball games on the radio, I couldn't believe what I heard about Mike Blowers, the former Seattle Mariner and current radio commentator for the organization. On the radio last Sunday, as Jews were in synagogue listening to the Kol Nidrei service and being released from the vows they'd make in the coming year, Blowers made a vow that something would happen in the upcoming baseball game. His prediction was reminiscent of Nostradamus. You don't believe in the Messiah? You don't think the Apocalypse is coming? As of yesterday morning, I'll admit that I was skeptical as well. But now, I believe it is fair to say that former Major League Baseball player, Mike Blowers, is Moshiach. But before I prove my point, let's look at some of the pre-conditions. According to [an article on Messianism on MyJewishLearning.com], the Messiah will not come on Shabbat. Good, because I believe he came on Sunday. Second, the rabbis believed the Messiah would come on the eve of Passover. Well, Sunday was Erev Yom Kippur, so I think it's fair to say that the rabbis had the right idea, but got the wrong holiday. Finally, according to Sotah 9:15, "In the footsteps of the Messiah, arrogance [chutzpah] will increase; prices will rise; grapes will be abundant but wine will be costly; the government will turn into heresy; and there will be no reproach." That kind of sounds like today’s world, especially in this economy. Well, I don't know that Mike Blowers is the messiah, but this really is an unbelievable prediction. Blowers calls it perfectly. First, he says Seattle Mariners rookie infielder Matt Tuiasosopo would be the Player of the Game. Next, he predicts that Tuiasosopo would hit his first Major League home run. Not only that, but he guesses it will come in his second at bat, off a fastball on a 3-1 count and that Tuiasosopo would hit it into the second deck. Unbelievable call! Watch the video below and then try to figure out why Mike Blowers didn't spend his time at the racetrack instead of trying to play professional baseball where he journeyed from team to team including three stints with the Mariners. That is so cool. I must say I really enjoyed this entire post. 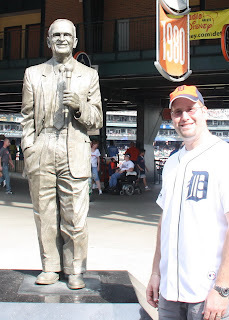 For a nice article explaining Ernie Harwell's importance in Detroit, check out Brian Cook's column in the Sporting Blog. What a great blog!There have a chance that we can have an furthur exchanges and cooperation.I will always pay attention to your blog. Thanks Air Jordan! I checked out your blog too. Great sneaks. I must confess I got a little nostalgic about my first pair of Air Jordans when I visited your site. 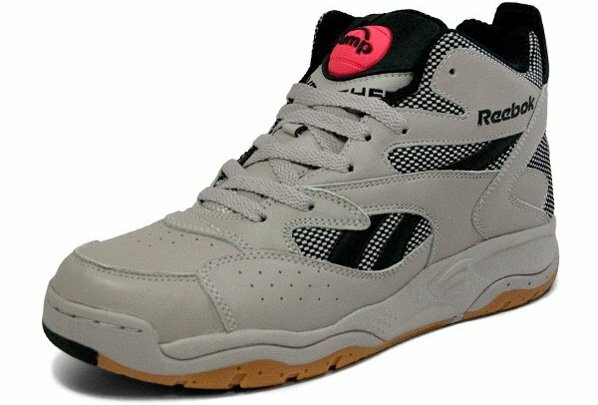 I probably wore 4 or 5 pairs until I traded them in when the Reebok Pump came out! My pair looked exactly like this. Hi,Rabbi Jason Miller,yeah,it's truth that Reebok Pump may be so good,but our sneaker not only have excellent quality and unque design but also at a very low price. Believe you eyes.You can try to wear, the foot feels good.You can feel relaxed.good things must be shared. Your high quality articles are so great, and can we buy some ads from you? If you agree, just emial me the ad type and fee per month. If you own some other high quality related blogs, selling ads would be welcomed. I'm glad to see this blog. It really is a nice surprise! I also want to introduce you to see my website. Because it is very exciting.I believe that you will like it!